e hope that you enjoy your electronic visit to St.
Mildred's. 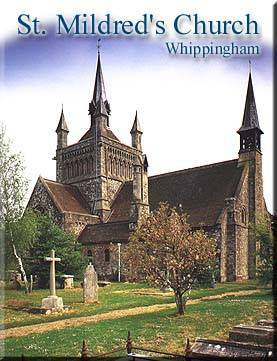 There are many treasures to be seen, but here in Whippingham we do not worship a God who is only present in history. e are an active church family and there is a service of worship held here each Sunday to which we warmly invite you. ay the blessing of the Lord Jesus Christ go with you.